Arsenal invincible Nwankwo Kanu has backed Thierry Henry to succeed in club management regardless of whether opportunity begins from. The Frenchman recently re-signed from his punditry role with Sky Sports in order to step into permanent coaching but he could not land a job straightaway after Aston Villa decided against recruiting him. 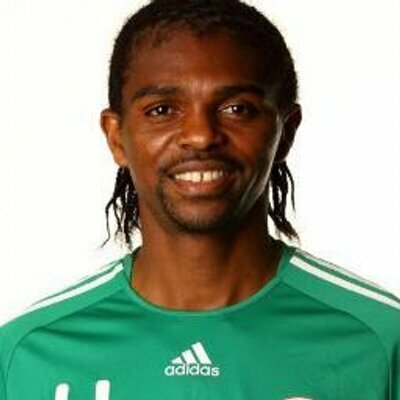 In spite of this, Kanu has no doubts regarding the potential of the Gunners legend and he fancies the former World Cup winner to enter into management sooner rather than later, he said: “I don’t think any job is difficult for him. What he needs is the space and an opportunity to prove himself, so if they can give him that, why not? He can do it. It doesn’t matter. He’s Thierry Henry. He’s been talking on the TV; it’s time for him, when you talk the talk, you walk the walk. As things stand, Henry has no experience in club management but he has nevertheless earned plaudits over the summer after being part of Roberto Martinez’s backroom staff for Belgium.“ Though Martinez got more of the plaudits for Belgium’s run to the World Cup semi-final, Romelu Lukaku among others credited the Gunners legend for the effort “ and valuable advice offered during the course of the global tournament. A recent report from The Mirror linked Thierry Henry with a possible move to Leicester City with Claude Puel having two Premier League games to save his job. However, the suggestion has been laughed off by the Foxes boss, who has stressed that he has the backing of the hierarchy, who made the decision to stick with him for the current campaign.